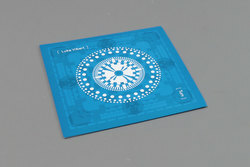 Luke Vibert - Turn EP. Vinyl LP. Bleep. 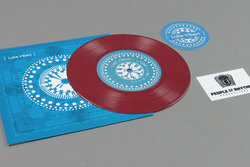 People Of Rhythm give us the goods with a new 7" from Luke Vibert, arriving to service those with a taste for his classic Wagon Christ and Mo Wax gear. The four-track Turn EP is notable for including a track that features the musical skills and is dedicated to the legendary and sadly no longer with us pioneer Jean-Jacques Perrey, a track that picks up the pair's collaboration some eleven years ago on the now classic Moog Acid LP. 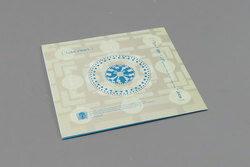 On Turn, Luke Vibert delivers some of what we'd say is the most joyous liquid funk and Illbient leaning sampladelia to seep out of his studio since he dropped 'We Hear You' on Planet Mu back in '09. Packed to the brim with the trademark entire hard drive and many years digging standard sample library, Turn blends all our favourite Vibert modes into one DJ friendly package. From aquatic drumfunk and proto hip-hop that can be found within 'BM' and 'Juice' he switches things up on 'JJP' with some seriously sharp scratching and a choir of re-licked vocal hooks that sound like they have been fired through Remarc’s sampler. Yet the title track is the one we'd go straight for, with highly potent lover's acid rhythms that are sure to hit the sweet spot of all the Vibert aficionados.